With the help of London Gardeners, you can discover the very best in West London gardening and can find out a brilliant way in which you can enjoy a fantastic looking lawn and garden with very little effort. If you want to make sure that your gardening is in the best possible hands, find out today how much of a difference it can make to hire in the best gardening professionals around. We have spent years building up the experience and expertise which allows us to handle any kind of gardening service which you might require. Whether you need a garden clearance or hedge trimming and pruning, or are in need of garden spraying and weed control, then we are never more than a phone call away. 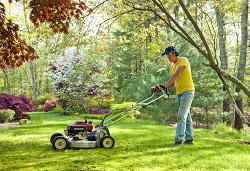 We want to make sure that everyone in West London has access to the very best services around and that there is never any need to look anywhere else when you need a bit of lawn maintenance. With our expertise, we understand what it takes to deliver a truly excellent service and want to make sure that you and you garden have access to solutions which really make a difference. To find out more about what we have to offer, call our team on 020 8434 7256 and discover what we can do for you. West London is home to many of the most famous and well known landmarks and places in the city. As well as containing Brent, Ealing, Hammersmith and Fulham, West London is perhaps most frequently known for its proximity to Kensington and Chelsea. As two of the richest areas within the city, the price of property in these areas is high and as such, many of the residents are very wealthy people. This has led to the west of London becoming a very desirable and expensive place in which to own property. As well as these districts, however, places such as Hillingdon, Hounslow and Harrow offer something slightly more relaxed. There are a number of local football teams, with Queens Park Rangers, Fulham and Chelsea being the most famous examples. Chelsea have seen the most success recently, though the rivalries between the clubs are not quite as intense as those in other areas of London. In terms of transport, there are not only a large number of day and night buses which serve the public, but the district line and other tube lines are able to take passengers to any destination in London which they wish to reach in no time at all. 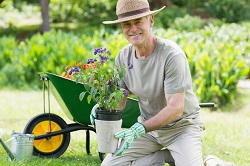 We offer the complete range of options for those looking for West London gardening experts. No matter what state your garden is currently in, we can help. We know how difficult it can be to get started and our garden design is here to make sure that you get the best landscape garden to help you design a garden which you will really enjoy. Likewise, those who already have a great open space but are in need of a bit of extra care and attention, our lawn restoration and repair can be the perfect antidote to a long hard winter and can get you and your garden ready for summer. Our expertise does not end here, however, and we always want to make sure that London Gardeners delivers the very best value for customers. If you are looking for not only a great service but a cost effective one, place a call to 020 8434 7256 and get a free quote. Discover the benefits of hiring the best gardeners in West London with all of our help.